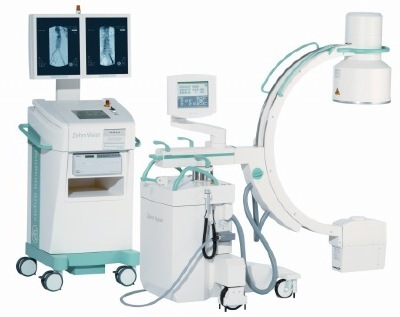 Ziehm Vision² creates a new standard in mobile C-arm functionality including highly demanding minimally invasive and interventional procedures performed in areas such as urology, neurosurgery and orthopedics. Ziehm Vision R offers high power capabilities for demanding interventional procedures such as those performed in vascular surgery (i.e. AAA, PTCA) and in cardiology (i.e. coronary angioplasties). The powerful, ultra compact monoblock generator with rotating anode provides superb image quality and low dose capabilities. 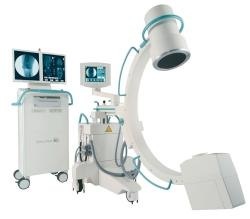 Surgeons, Staff and patients will benefit from the C-arm’s compact design and its excellent maneuverability. Pulse technology – Up to 30 frames/s with the most compact monoblock generator for best patient access and clearest image quality. 1k x 1k HD CCD camera system – Industry-leading, high dynamic CCD camera clearly visualizes even the tiniest anatomical structures. 18’’ high brightness monochrome TFT monitors – twin 18’’ TFT monitors with Intelliguard provide powerful diagnostic performance. Employing cutting-edge technologies, Ziehm Vision R can provide optimal image quality at the lowest possible dose. Besides features like ODDC, application-oriented anatomical programs, a monoblock generator with pulse technology and beam hardening filters, many other sophisticated functions of the Ziehm Vision R contribute to additional significant dose savings. 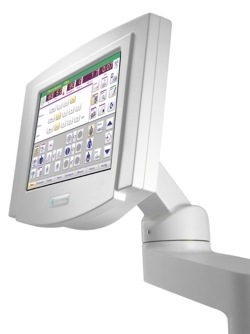 Synchronized TFT touch-screens conveniently mounted on both C-arm and monitor cart make it possible to fully control the system from both locations. Logical user menus with clear and straightforward icons make the system simple to operate and streamline workflow. Application-oriented programs optimally adjust the system’s performance to the anatomic region of interest. A touchscreen control panel with an open architecture design simplifies future upgrades and product improvements. An outstanding feature of the Ziehm Vision R is the fully integrated Ziehm NetPort based on DICOM 3.0 communication protocols, including a WLAN option. Running in Primary Capture mode, Ziehm NetPort is capable of transferring original images and patient data to and from the PACS or HIS/RIS, providing you with a completely integrated digital network solution. Images can be saved in DICOM or TIF format as well as in downsized DICOM or JPG format. 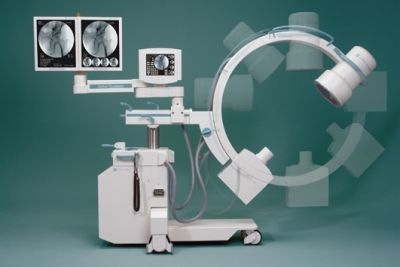 The combination of the Ziehm Vision with a CAS system creates a surgical environment with excellent image guidance, allowing the surgeon to operate with optimum precision and accuracy. Ziehm Vision R offers several application-oriented software packages with special features targeted for different procedures to best meet your clinical needs. 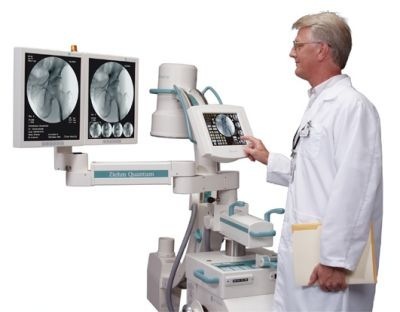 Hence each Vision R-unit can be easily and quickly adapted to any procedure performed in areas such as orthopedics/traumatology, vascular surgery and interventional radiology and cardiological interventions.